Latitude, Exit, Bestival, Wilderness or Festival 6.. whether they are UK based or further afield, the choice of music festivals is increasing year by year, meaning plenty of prime opportunities to camp out and enjoy a brief hiatus from normality from a couple of days. However, the likelihood that you’ll drop your phone /speaker/ camera in a muddy puddle, spill drinks on it, or worse – watch it fall down into the long drop toilets are all pretty high at most festivals. Therefore, you’ll need hardy, effective gadgets that will help you enjoy your time at the festival or on holidays, allow you to take great pictures, play music and keep you entertained on your journeys there and back, but won’t cost the earth. With the price of festival tickets now costing a small fortune, you won’t want to spend huge amounts when it comes to forking out for useful tech. So here are top 5 festival gadgets, which will make sure your camping, glamping or holiday experience is great, but won’t break the bank. 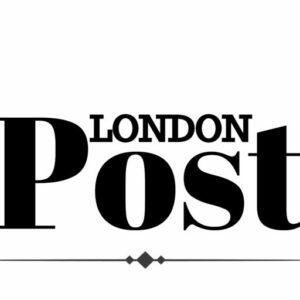 1) Affordable Smartphone – £86.95 atAmazon . 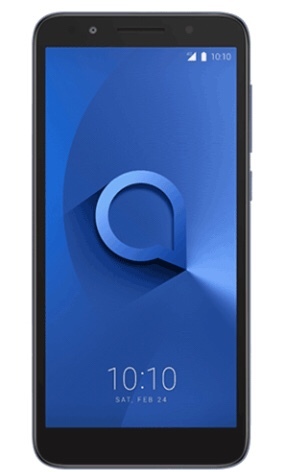 Lightweight, glossy black and packed with social media features, the Alcatel 1X is a steal for only £86.95 SIM-free. It has an 18:9 aspect ratio and 5.3 inch immersive display screen, so easy to hold with one hand, making it super quick to scroll and WhatsApp friends, whilst enjoying a cold beer in the other. A powerful 13MP rear camera and 8MP front facing camera, both with flash, mean high quality photos no matter the time of day (or night). Handily, the phone comes with 547 hours standby time, so you’ll not have to charge very often, allowing you to fully kick back and enjoy the music. Mobile phone charging points are often few and far between at festivals, and then plagued by long queues when you do finally find one. 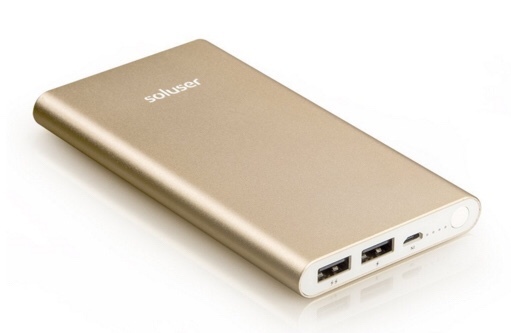 Skip the waiting and bring your own portable charger, such as the soluser 12000mAh Portable Charger. Suitable for use with a wide range of phones the charger also comes with a practical bright LED torch and double USB ports meaning it is possible to charge two devices at the same time. A Bluetooth speaker is always useful when you want to share your playlists with friends and chill out at the festival campsite. The Ultimate Ears Boom 2 is waterproof and comes in bright red, blue or black, so there is a colour to suit all tastes. One charge provides up to 15 hours battery life, so enough to enjoy a few good hours of music without having to search for a place to recharge it. Getting peckish but not wanting to trek the three miles to the nearest food stall is one of those festival bugbears. Plan ahead and pack a handy portable BBQ so burgers and sauces can be at your instant disposal no matter the time of day or night. 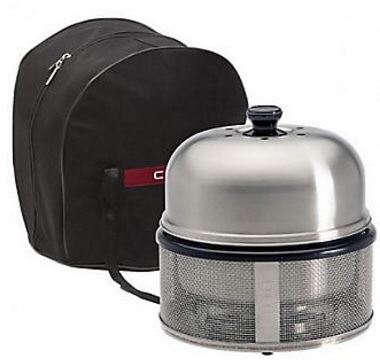 For under a £100 the Cobb Premier Charcoal Barbecue Grill and Carry-Bag is so versatile you can even cook pizza and meat joints on it. We have come along way from the days of a rickety metal chair being the only portable seating at festivals. 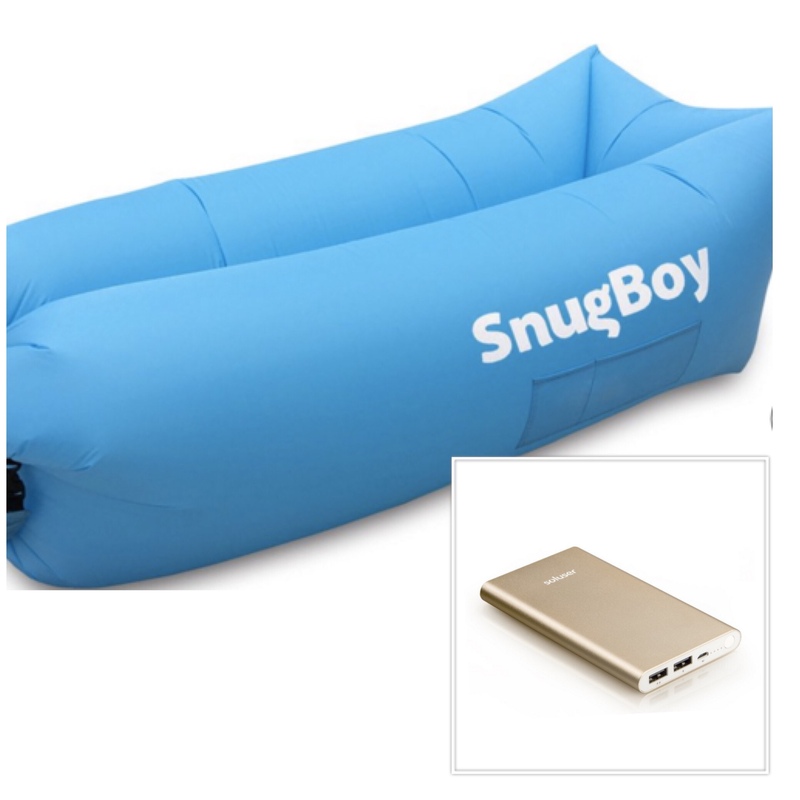 This clever inflatable sofa from Snugboy doesn’t need any kind of pump to inflate, rather just using the air itself! 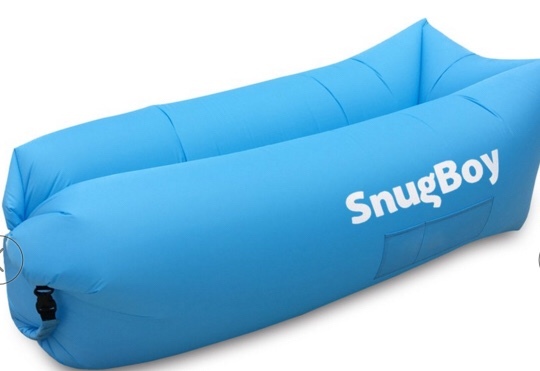 Simply open up the SnugBoy and drag it through the air to inflate it, and then tie up the end and it’s done. The air lounger comes in a variety of bright, eye-catching colours so you can find the perfect one to match your personality and for only £39.95 it is an affordable edition to your festival essentials list.